Time’s running out for those interested in an early development version of Google’s Project Ara do-it-yourself smartphone, with just one day remaining to request the hardware from the company. 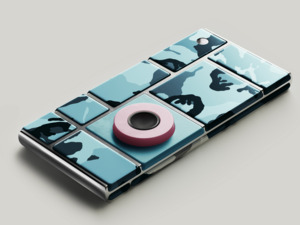 The Spiral 2 is an early uncased prototype of Project Ara, Google’s customizable smartphone through which features can be added or removed via snap-on hardware blocks. The phone was inspired by Lego, the famous building toy. The soft deadline to request Spiral 2 from Google is this Saturday, Feb. 7. 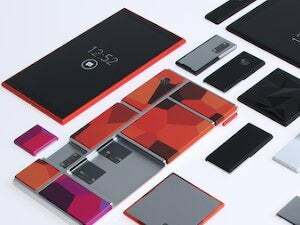 Google won’t ship the hardware to everyone, only to those most likely to make snap-on hardware for Project Ara. “After that Feb. 7 deadline, if you put in your application after that, these requests will be considered on a rolling basis subject to availability of the hardware,” Seth Newburg of NK Labs said last month at the Project Ara DevCon 2, where Spiral 2 was introduced. Nevertheless, supplies of Spiral 2 will be limited, much like its predecessor, Spiral 1. It’ll be smart to get in the order as soon as possible. The first phones will be available later this year in Puerto Rico as part of a pilot program. The basic Project Ara phone frame may sell for US$50, while the snap-on modules can be bought separately through Google’s Project Ara store. The Spiral 2 is mostly for the development and testing of modules. Google is relying heavily on external hardware developers to make parts like antennas, cameras, sensors, batteries and other blocks. Toshiba has already developed Wi-Fi, display, camera, activity tracking, TransferJet and media bar modules. Hardware developers have floated ideas of health monitors, storage and security modules. Each module has to be submitted to Google for approval. The Spiral 2 is smaller than the predecessor board called Spiral 1, and has a design closer to the final circuit board that will appear in the final version of the phone. The electronics are laid out on a single board, a big improvement from Spiral 1, which had components spread over three separate boards. The components are interconnected through a high-speed UniPro bridge. A version of Linux developed by Linaro developed specially for Project Ara will also ship with Spiral 2. A smartphone display can also be placed on the development board to test applications and modules. The Spiral 2 has an ASIC integrated circuit, which is an improvement from an FPGA on the Spiral 1. The Spiral 2 doesn’t have a conventional CPU, and it needs to be connected to boards with either an Nvidia Tegra 4 chip or a Marvell PXA1928 chip. Users have an option of selecting either board in the process of requesting Spiral 2 from Google. The Marvell board will ship in late February.